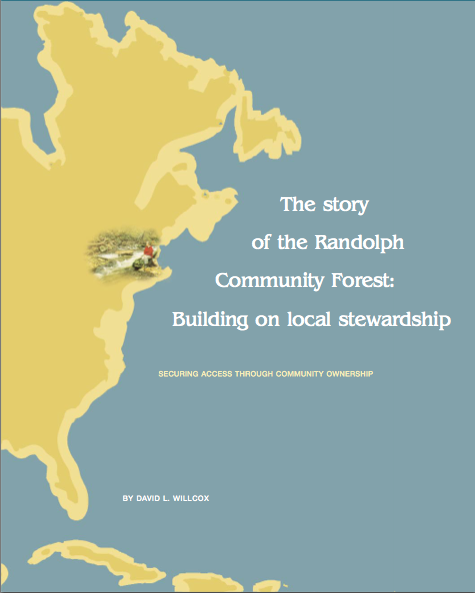 Looking for an overview on the Randolph Community Forests’ creation and the development of a long-term stewardship plan? This excellent summary appeared as Chapter 2 in a book entitled Natural Resources as Community Assets, Lessons from Two Continents, published by the Sands County Foundation and the Aspen Institute in 2005. It was the outcome of a conference held in Savannah, Georgia, in 2003 where case studies from the US and Africa were presented. The book was edited by Martha West (Marcy) Lyman and Brian Childs.